Heather’s got a bevy of projects on the go, plus a houseful of young kids and a handful of a husband, Terry, who turned Heather's Housewives fame into a launching pad for his own TV stardom, with shows like Botched and Good Work. 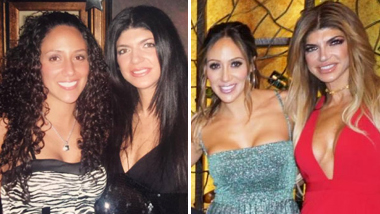 And despite not being on RHOC, she's still found herself caught up in segment-worthy feuds. Heather launched Heather Dubrow's World while she was still a Housewife, but since then the podcast has grown in a huge way – she just reached 30 million downloads! There's not much behind-the-scenes OC goss on the show now, but Heather's managed to build out a sizeable audience that sees her as a lifestyle expert, not just a former Housewife. Her and Terry even launched a second podcast on the network inspired by their book, The Dr. & Mrs. Guinea Pig podcast. Rather than making the rounds on second-tier reality shows like some other former Housewives (we saw you acting a mess on Marriage Bootcamp, Amber), Heather's embraced digital platforms. Her YouTube series, Heather's Closet, can be a little cringe-worthy, but let's be honest: Heather's fans have never minded a little cringe. What gives, Heather? All we heard about for two seasons was the mega mansion Heather was building with Terry. The sneak peeks were worthy of Architectural Digest! The most we've gotten are some Insta-glimpses and a string of closet tours. Heather hasn't altogether left TV. She returned to her acting roots for a guest role on Freeform's Young & Hungry as a fictitious celebrity chef named Natasha Cook-Campbell. 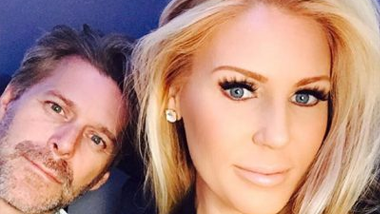 There’s been no word on whether Gretchen Rossi was up for the role! Beyond sporadic gigs on scripted TV and, of course, Terry's show Botched, Heather and Terry make regular appearances on talk shows as lifestyle and health experts, talking about everything from plastic surgery to diet. Since RHOC, Heather’s appeared on Entertainment Tonight, E! News and makes regular appearances on Hollywood Today. Heather's on-the-record reason for leaving RHOC was that she wanted to spend time with her family, and to her credit, she actually seems to be doing that. Heather’s social media pages are a steady stream of family photos that document her daily life raising her brood, from fun family vacations to lavish picnics in the park. Her kids are growing up fast. Can you believe Max and Nicky are heading off to high school?! In June 2018, the pair graduated from grade 8. All of Heather’s kids are growing up so fast! In 2018, Heather and her family took a trip to the Great Wolf Lodge and spent spring break snowboarding. They even paid a visit to the Full House house in San Francisco! Their family vacations look super fun, but we have to say, if we had a home as large as Heather’s, it would be staycations all the way. Terry’s DOES Have a Six Pack! In case you weren’t willing to take Terry’s word for it, here’s a little photo proof that he DOES have a six pack. Apparently the Dubrow Diet works wonders. We left Terry off our list of the hottest Housewives husbands, but maybe we should reconsider? Heather threw some pretty major parties on RHOC, and post-Housewives she's put those skills to use for a series of video where she doles out hosting tips for Evite (not to be confused with her similarly named skin care line for Evine). Heather may have exited RHOC, but her feud with fellow reality star Jeff Lewis is raging on off-camera. A quick refresher: Jeff put Heather on blast for treating waitstaff poorly, while Heather claimed he'd body shamed her. Jeff clearly isn't letting the feud go any time soon. On an episode of Juicy Scoop with Heather McDonald, he promised he was far from done punishing her for slamming him. "There's one thing where there's a little disagreement, but when you start to go on live television and spreading these nasty rumours about me, that's when you insult my character, that's when I come back," he said. Heather also got into a serious scrap with Jeff’s pal Lea Black, the one-time matriarch figure of the Miami Housewives. During an appearance on Evine, Heather dissed Lea's skincare line, Sudden Youth. Lea clapped back during her Facebook show, Lunch with Lea. "I was like, "Do you always think you're better than everybody else?" It just infuriated me because we have customers around the world, distributors around the world that rely on sales and commission and customers around the world that I don't need to think that this product isn't any good because this person who knows nothing about skin care other than she married a doctor.” After Lea called Heather out on Twitter, Heather claimed she’d named Sudden Youth by mistake and was thinking of a different product. There’s been talk of Heather's return since she left, but we still haven't even seen guest appearance. It does, however, sound like her old ally Tamra wants her back. Despite allegedly talking trash about Heather’s exit – fans at a live Juicy Scoop recording claim Tamra said Heather was fired and that the crew found her difficult to work with in a segment that was later cut – Tamra has said she wants Heather back on the show. “I wanted Heather back. I think she was up for it this year but it didn’t happen,” Tamra said to AllAboutTHR.